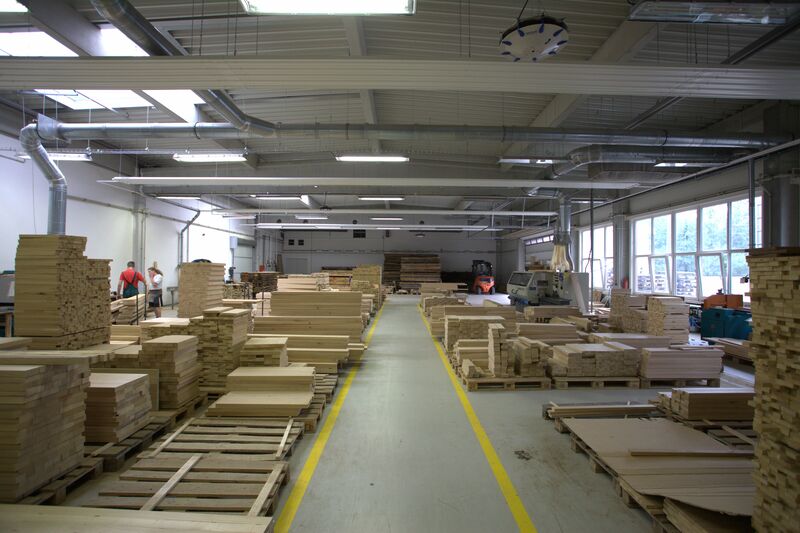 Furniture manufacturing • JELÍNEK - výroba nábytku s.r.o. To ensure proper quality of our furniture we buy materials from renowned suppliers. Oak and beech wood is from the Czech and Slovak forests. ZIRBE wood is logged in Austrian Alps at the altitude of 1600 m.
To ensure size stability it is necessary to dry the solid wood thoroughly. 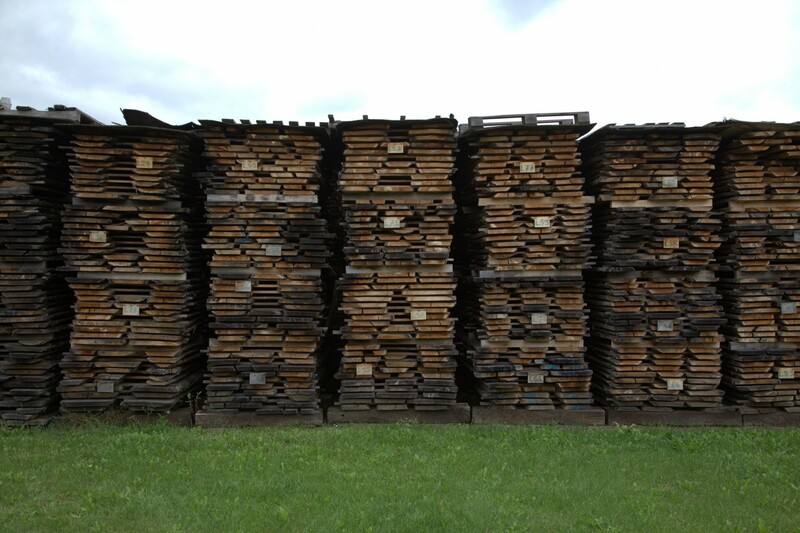 Natural drying in an outdoor storage helps to eliminate undesirable tension in the wood. During the year in the fresh air we get the desired humidity of 20-23 %. Fresh air is not enough. 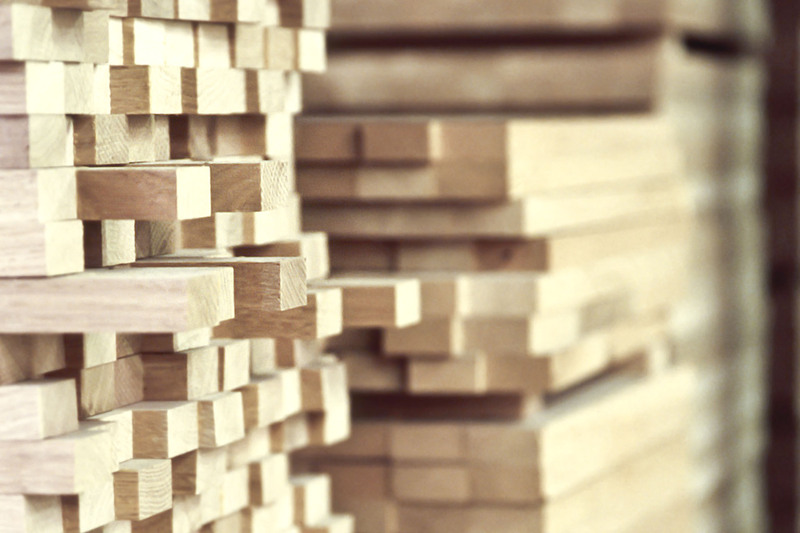 We let the stacks get perfectly dry in the drying room to achieve the humidity of 8-9 % which is the basic requirement for manufacturing furniture from solid wood. Let’s go to the lumbermill! The dried stacks are transported to blank shop and we can start the work! 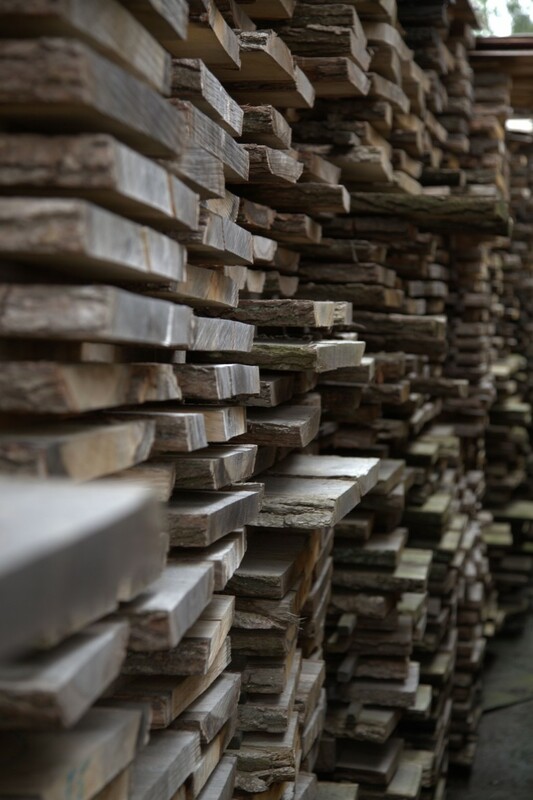 We check out every stack, select the best pieces, and cut out defects in the wood such as undesired knots, sapwood, or cracks. 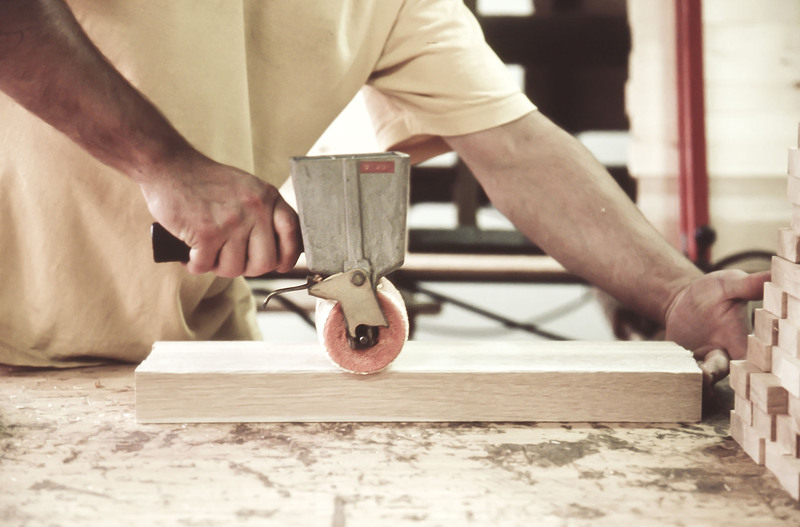 You might be surprised but we can only use 30-35 % of the initial amount of material for your furniture. 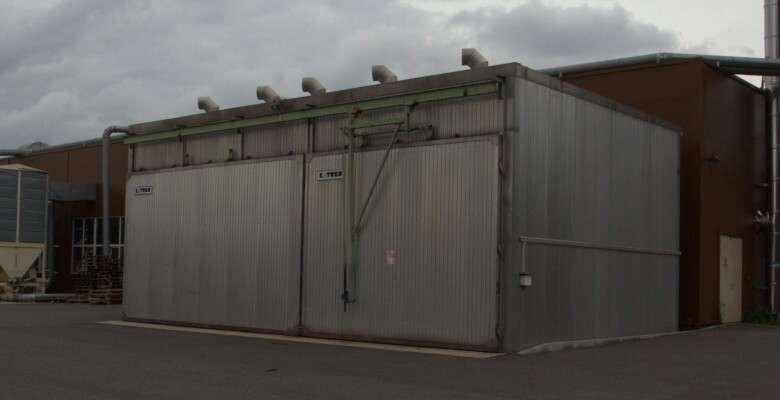 We incinerate the rest ecologically and use the energy to heat our manufacturing hall, or we sell the redundant and unusable parts as fuelwood. We cut battens on special saws, we sort them out carefully and glue them with a high-quality non-toxic glue on a large press. This is how we get the so-called glulam, i.e. basic material for further processing. Since we make the glulam manually we can guarantee that the battens fit together in color as much as possible. After planning and gluing, the solid segments (blocks) and glulam continue to calibrating sander. Calibration for precise thickness is an unconditional prerequisite for further construction woodworking on modern CNC machines that shape and drill the segments. After that, there is only final sanding on a broad-belt sander. We finish the surface of our furniture with eco-friendly colorless varnish or natural oil. Impregnation with oil is a continuation of an old tradition. Customers can choose from various hues of staining or oils from our basic sampler. The hues can be adjusted to individual wishes. In that case, a customer has to provide their own sample from which we can mix a water-dilutable stain or pigmented oil. All surface finishes are included in the price. 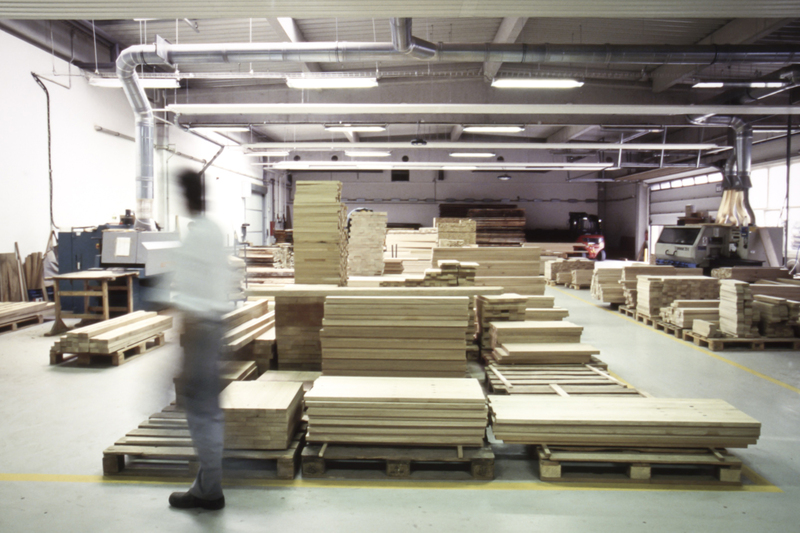 To dispatch the orders faultlessly, the furniture segments have to be in the right place, at the right time and in perfect quality. The place where all this is happening is the assembly hall. 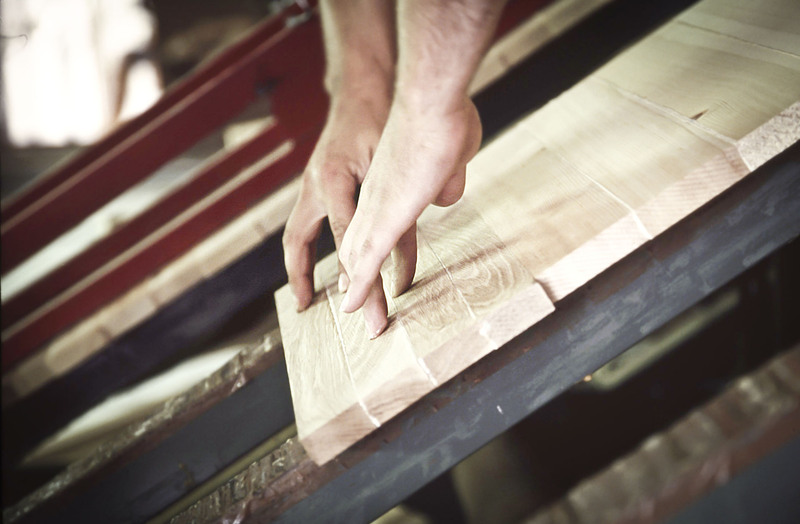 When the furniture is assembled, each piece goes through final inspection of quality. We pack the furniture in frim, five-ply cardboard, or bubble and stretch wrap. The package is labeled with the name of the product and is ready to meet its new owner.